New York – FOX Sports MLB Postseason coverage steps to the plate tomorrow, Thursday, Oct. 8, with an American League Division Series doubleheader on FS1 features the junior circuit’s three Division champions and Wild Card winner in action. FS1 televises up to eight ALDS games over the next seven days as the 2015 Postseason unfolds. The AL East champion Toronto Blue Jays host the AL West champion Texas Rangers in Game 1 of their ALDS at Rogers Centre at 3:30 PM ET, followed by the AL Central champion Kansas City Royals hosting the Houston Astros, the AL Wild Card representative, at 7:30 PM ET from Kauffman Stadium. Kenny Albert, Harold Reynolds and Tom Verducci call the action for the Rangers-Blue Jays series with reports from Ken Rosenthal. Joining Matt Vasgersian, John Smoltz and reporter Jon Paul Morosi to cover Astros-Royals is World Series Champion A.J. Pierzynski. Pierzynski was the starting catcher on the White Sox’s 2005 championship team and spent the 2015 season batting .300 with 9 home runs and 49 RBIs in 113 games for the Atlanta Braves. Pierzynski, who worked as an entertaining and insightful pre- and postgame analyst for FOX MLB Postseason coverage from 2011 to 2013, is making his debut as a Postseason game analyst. Over his 18-year career in the majors, the two-time All-Star (’02 & ’06) boasts a .282 lifetime batting average with 186 home runs and 886 runs batted in. Pregame coverage of the Blue Jays-Rangers ALDS Game 1 begins at 2:30 PM ET on FS1 from the FOX Network Center in Los Angeles. The show is hosted by Kevin Burkhardt, who is joined by 17-time All-Star and three-time World Series champion Pete Rose and Hall of Famer and two-time AL MVP Frank Thomas for studio analysis through the conclusion of the nightcap. All ALDS games televised by FS1 are also televised in Spanish exclusively on FOX Deportes, the leader in Spanish-language sports media, and via FOX Sports GO, the app that provides live streaming video of FOX Sports content at home or on-the-go. FOX Deportes covers the ALDS exclusively with pregame shows and expert analysis from retired Los Angeles pitcher Duaner Sanchez. Joining Sanchez on the call are commentators Francisco X. Rivera and Carlos Alvarez. 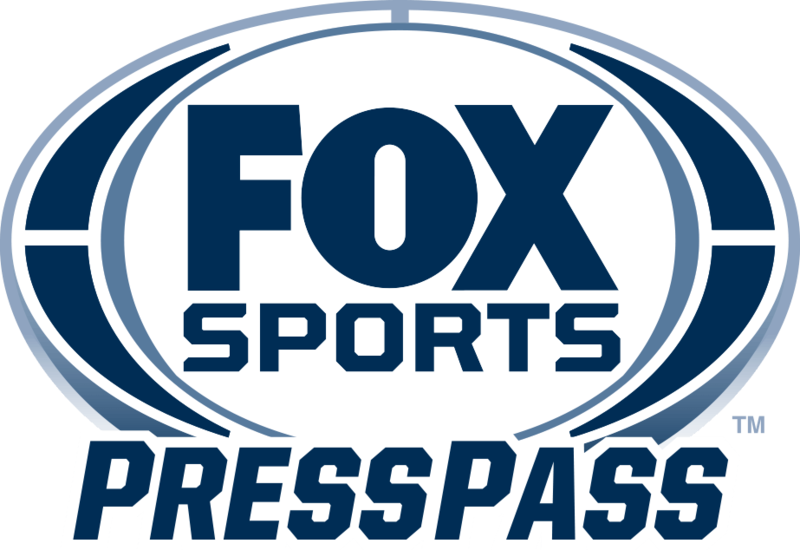 FOX Deportes’ digital platforms supplement efforts through social media channels and provide additional coverage on FOXDeportes.com. FS1’s two most-watched programs ever, three of its top four, four of its top 10 and seven of its top 20, are 2014 MLB Postseason games, including four National League Division Series games. FS1’s most-watched Division Series game (Washington-San Francisco Game 4 Giants’ clincher), came a year ago today, drawing 3.921 million viewers.